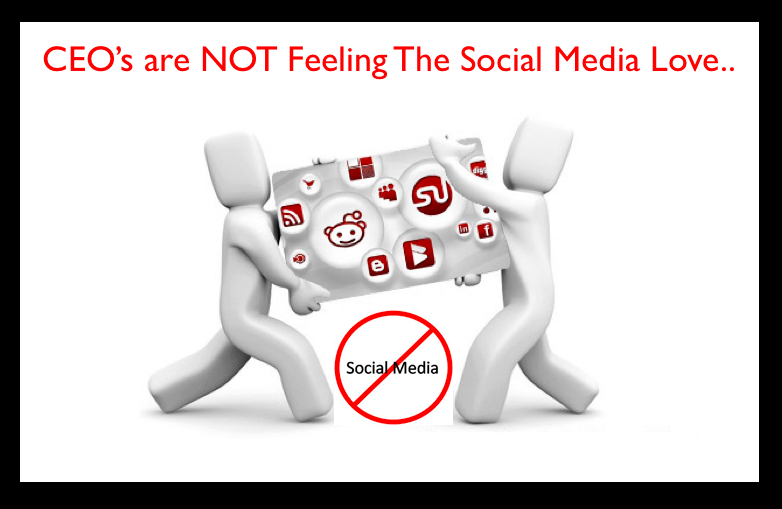 When engaging in Social Media the thoughts are that everyone is doing it. After all why wouldn’t they? Who wouldn’t want to engage more? What companies wouldn’t want to connect with their client base? Well it seems that there are many companys that do have a certain degree of engagement; however there are a very high percentage of CEO’s, in particular that have NOT embraced the trend of Social Media Engagement. PR firm Weber Shandwick, found that 64% of CEOs at the world’s 50 largest companies aren’t engaging with social media. Is it that the CEO’s are challenged or are they just that old school?